I'm sure you've all heard of the upcoming Tintin movie based on the Secret of the Unicorn storyline, by Steven Spielberg and Peter Jackson. I apologize for the late news since I haven't got on here for a while, but like they say, better late than never. First up, posters. The first one is the international poster, and the second is the USA poster. I personally like the international one better. The globe, the sunrise, the epic seaplane and Unicorn - perfect. Next, trailers. The first one is the international trailer, and the second is the USA trailer. There aren't many differences between them other than an additional opening scene featured in the international trailer and a different dialog at the very end of the trailer. Like the poster, I also prefer the international one because of its additional opening scene. But the dialog at the end was better in the USA version, I must admit. I'm sooo looking forward to seeing this movie! It looks really good, doesn't it? Last night I finally saw "The Adventures of Tintin: The Secret of the Unicorn". I've been waiting many years for this movie. While there were some things I would've changed, I really enjoyed it. The movie consisted of most of "The Secret of the Unicorn" album, over half of "The Crab with the Golden Claws" and the tiniest bit of "Red Rackham's Treasure" (about 25% is original content). PROS: It's Tintin in the flesh! (sort of). Herge! 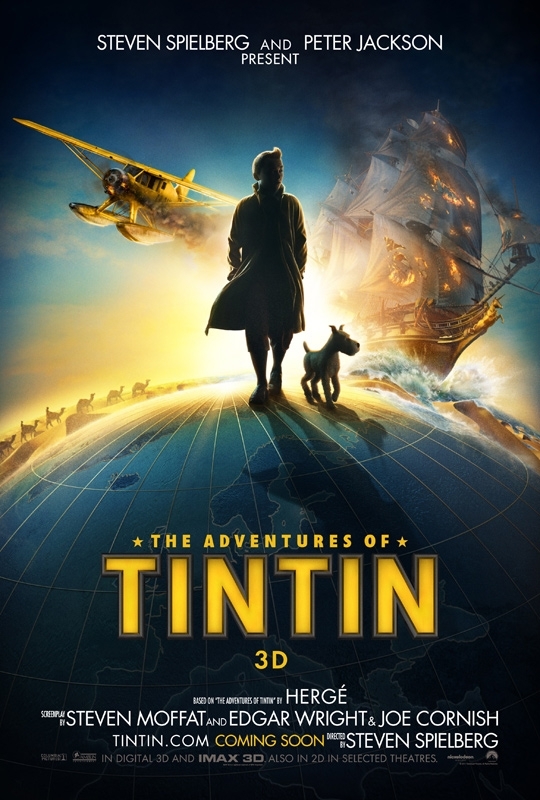 The movie shows the creators had huge love and respect for Herge and Tintin. 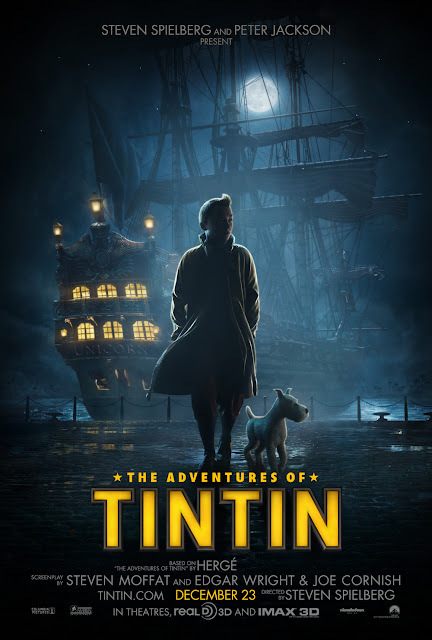 Opening credits reminiscent of "Catch Me If You Can" credits - brilliant, amazing visuals that really capture Herge's art style, great acting/voice-acting, attention to detail - lots of easter egg moments for the die-hard Tintin fans. Mostly true to Herge's characters and the spirit of the adventures. Good script with some clever dialogue. Moments of quality humour, and impressive action. John William's music. CONS: The last act of the movie while exciting and action-packed was a little too-over the top at times and was the weakest part of the script (not bad at all, it just sacrifices story for creative action scenes). John Williams music - it was great but more 'fun' than 'suspenseful'. I prefer much of the music from the early 90's Ellipse/Nelvana TV series. I would've liked to see more of Captain Haddock's angry and creative swearing. The movie lacks some of the finesse and clever character humour found in Herge's albums. Some villains were given less screen time. Overall, the first 2/3rds or so of the movie are brilliant, the last third is merely very good. Naturally, the movie is best when it doesn't depart from the original stories. It's great to finally see a Tintin movie that's good!